Viessman has added a new boiler to its existing range of 5.9 to 35 kW gas-fired condensing boilers. The Vitodens 111-W is designed for installation in homes where space is restricted as it can be wall mounted and erected in alcoves and other hard to reach areas. That’s pretty good where space is a precious commodity. Another handy feature of this neat little boiler is the fact that engineers only need to access the front of the boiler for servicing. It also has a high flow rate which is handy for properties where the mains cold water pressure is fairly low. The boiler uses Viessmann’s Cylinder Loading System (CLS) which enables it to provide around 200 litres of hot water in about 10 minutes. The CLS works by heating cold water from the bottom of the cylinder and passing it through a heat exchanger whereupon it is then returned to the top. Since the boiler draws hot water from the top of the cylinder this gives the boiler the ability to maintain a constant volume of hot water. The enhanced flow rate also means that the Vitodens 111-W can draw water from more than one outlet at a time without any noticeable impact. Standard condensing boilers do not usually have this capability and so consequently the cylinder on the 111-W can fill a bath of about 150 litres in approximately eight minutes. CLS cylinders work just as well as standard coil cylinders despite their reduced size. 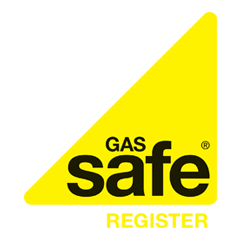 The new boiler is also the first gas condensing storage combi boiler to be available in the UK without a temperature and pressure relief (T&PR) valve since the necessary safety features are all fitted as standard. This means that the boiler is much quicker, simpler and cost effective to install as it eliminates the need for long, expensive, runs of pipe down to floor level.